Book Review: Shooting Stars by Phil Hart - Explore! Book Review: Shooting Stars by Phil Hart - Explore! 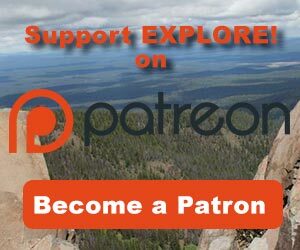 Awhile back we wrote about Photo Exploration and used landscape photography, close-up photography and wildlife photography as examples of genres that would let you build your adventures around your photography hobby. Photographing stars and the night sky is another way you can build an adventure around photography. Low light or nighttime photography takes special skills and knowledge that you may lack if you only take your camera along in the daytime. 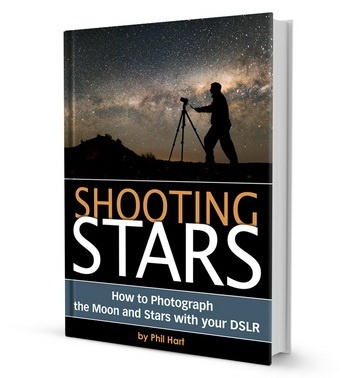 Shooting Stars, by Phil Hart will give you the knowledge you need so that you can practice and develop the skills to be an accomplished night time photographer. This eBook is subtitled “How to Photograph the Moon and Stars with your DSLR.” The title and subtitle understate the scope of this book. It’s a beautifully illustrated and comprehensive (129 pages plus an 11 page Field Guide) star and moon photography tutorial that will take you from zero knowledge of the night sky to creating fantastic images of the wonders of the night. If you are interested in high dynamic range (HDR) photography, time lapse photography, or night time landscapes, you will learn all the techniques the professionals use. If you are looking for star photography tips, this book offers tips scattered throughout. Everything from how to manage your camera in the dark to how to keep it dry in the rain to where to find free software for post-processing. A special 11-page Field guide is included. It contains specific tips for all kinds of cameras from Canon, Nikon, Pentax, Olympus and Sony. You may be thinking ‘well, yes, there are the stars and the moon and maybe a planet to photograph, but is that enough to build an adventure?’ Let’s answer that before we delve into the contents of the book. What is there to Photograph at Night? If you are not familiar with some of these terms, be assured that not only will you learn what they are, you will learn where to find them and how to take stunning photographs of them. Of course, Hart illustrates all these with photos of his own. The book starts with a chapter on the night sky that will give the background in astronomy you need to properly plan your night time photo adventures. It discusses how and why what you will see in the night sky changes over the year in both the northern and southern hemisphere. Hart also gets into the moon and its phases, including a schedule for 2015. He next gets into light pollution and the weather and offers some great resources for dealing with those issues. As an eBook you get a variety of interactive features that are simply impossible with a paper book. For example, there are videos and animations to illustrate certain concepts and lots of links to further information and organizations that can help you. Finally, he gets into the details on photographing different things under different conditions. Here you will learn exactly how to get those beautiful star-trail photos, moonlight illuminated landscapes, silhouettes, reflections and more. The third chapter will explain how to enhance your photos in the best possible ways using Photoshop, Lightroom or ACDSeePro. You will learn the basic steps and workflow you need to follow to get your finished photos to the professional level. Hart covers adjustments of basic settings, white balance, saturation, and noise reduction. Plus he gets into image stacking and time-lapse video. The list of things to photograph at night, above, is the list of wonders that Hart addresses in the final chapter of the book. For each wonder Hart explains what it is, when you can see it and how to photograph it. He, naturally, provides photos to illustrate each wonder. It easy to get your copy of the book. Just hop on over to Phil Hart’s website and order it. 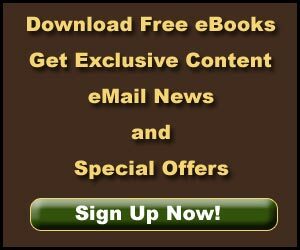 You will have it on your computer or tablet and ready to start reading in minutes. Phil Hart’s tagline these days is ‘engineer by day, astronomer by night’. 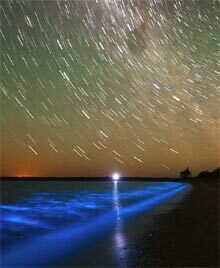 Growing up in Melbourne, Australia, he developed a strong interest in astronomy and photography. On a student budget through school and university, he built his own telescope which remains one of his more successful DIY projects. As an engineer now, he naturally has a strong technical approach to night sky photography but enjoys exploring the artistic side of the hobby as well. After five years in Scotland enjoying the northern skies and an occasional aurora, Phil returned to Melbourne in 2006 and continued to dive deeper into the hobby, just as the age of affordable and high performing digital SLRs really began to bloom. In 2011, Phil started running Night Sky Photography Workshops in Melbourne, to share his love of photography and the night sky with others. When you combine these workshops with his nearly twenty years’ experience, it is safe to say that the information in this book has been well road-tested! The words in t he “About Phil Hart” section are by Phil Hart. The remaining words in this article are by Jerry Haugen, Pathfinder, and are ©2015 Global Creations LLC, All rights reserved. The photos are by Phil Hart and are examples of those found in his book. They are much larger and rendered more beautifully in the book than they are here. I’ve always had an interest in observing the skies and photographing its night beauty. I’m intrigued by this DSLR and started looking into it recently as well, I think this will be a great guide to assist me going forward. Yes I have seen those night time clouds. Just never knew what they were before reading this book. My uncle does this, actually! He does a lot of night photography. Have you ever seen Nauctoluminescent clouds in real life before? Man, I would give anything to see them again. They are awesome! Thank you for this, I really enjoyed this page. I’ll have to see if my uncle wants to check this out. Again, awesome article. Thank you!